So for those of you reading who aren’t seeing this on mine or my wife’s personal Facebook pages, it’s a bit of a departure from my usual posts. In June I married an unbelievably amazing woman who embraced my planegasms. Seriously, and she can determine the difference between a KC-135, C-17 and a C-5, she’s that awesome. We delayed our honeymoon until October for varying reasons, mainly because of work schedules, but also because it’s the offseason and we got some deals. 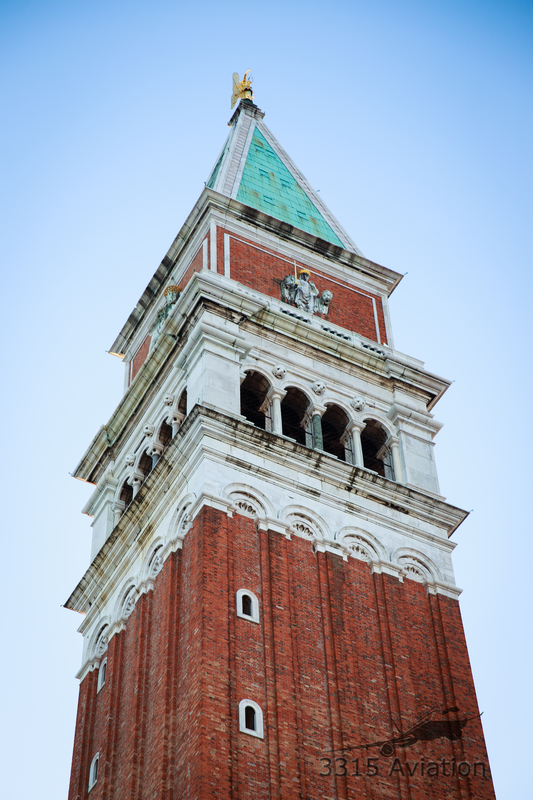 Our trip included a day in Venice and a 10 day Mediterranean cruise to ports in Croatia, Montenegro and Greece. Before leaving, Elise suggested we get a notebook to write about our experiences so we didn’t forget anything. So we did, and rather than try to tell everyone how awesome it was, I’m putting each day into an individual post with some photos to share with family, friends and all of you. So here goes nothing. We were pretty exhausted from the flight to Venice from Philadelphia(I’ll be doing a separate post on the air travel portion of the trip). Our flight from Philly on American Airlines(Flight 714) was packed and we were seated by the bathroom so it was hard to get any sleep at all, not from people constantly going to the bathroom or the wafting of odors. More from the light from the bathrooms shining on us. If we got 2 hours total I’d be surprised. We arrived and the air even smelled different, and not in a bad way, as we made our way from the plane. Signs in foreign languages remind you, you’re not in Maine anymore. My idea of going through customs was completely shot out of the water. Not that I had an idea on what it would be like, but what it was like, wasn’t as I had expected. I passed the agent my passport, he gave a quick stare, flipped to a random page, slammed the stamp onto it and BOOM, get out of my face. After making our way through customs we held our breath as we waited for our bags. Not that we were afraid of them being lost, more that we were overwhelmed by the stench of varying body odors. The carousel closely resembled the one in the Seinfeld episode that Kramer magically shot out of. I’d be lying if I said I wasn’t waiting for that to happen. Our travel agent arranged for our transfers and we made our way out of baggage claim and met Alessandra, our guide to the hotel from Marco Polo International Airport. The walk from the airport to the water taxi stand is about 10 minutes and we quickly jumped on a water taxi to make our way from the mainland to Venice. As she told us, Venetians don’t consider people from the mainland “from Venice”. And they take that VERY seriously. Elise and I kept pinching each other to make sure this wasn’t some really insane dream and that we’d wake up to a dog staring at us, wanting to go out. The water taxi navigated the waterways and the architecture simply blew me away. Also, the lack of cars and for that matter, bicycles. After a 20 minute boat ride to the hotel, we left our bags to check in later as our room wasn’t ready yet(more on the hotel later). We set off on foot and eventually made our way through the “streets” and came out in St Mark’s Square. Wanting to make the most of our time we bought tickets for a tour to 3 islands in the lagoon to get a taste of the area. Our tour took us to Murano to tour a glass blowing studio, the fishing village of Burano and finally to Torcello to tour the Basilica of St Fosca and it’s one street. Burano was my favorite with the colorful buildings, but more importantly, we got a slice of pizza and 2 cannoli for 4 Euro. Take my money already. The ride back to the tour center, the boat ride was about 45 minutes and both of us began to crash out from pure exhaustion combined with the sound of the waves. 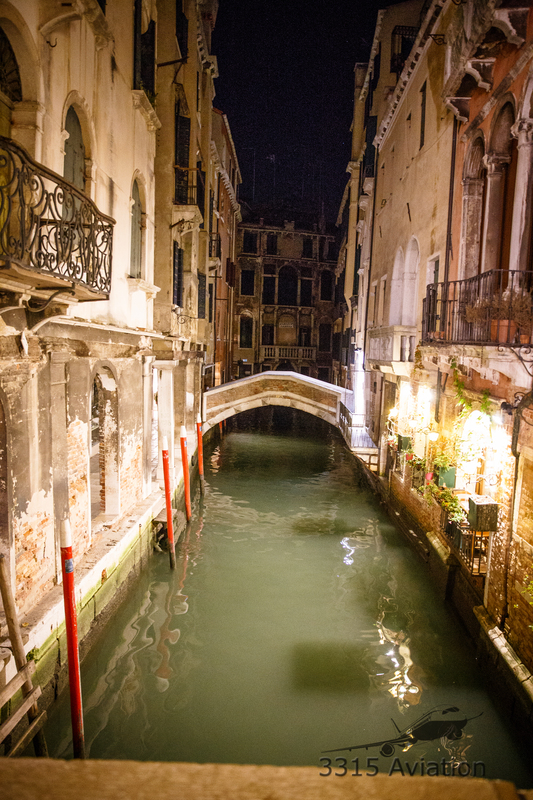 We snapped out of it as we got back to dock and then to the hotel to go to our room and shower before going out for a gondola ride through the canals. Our gondola captain, pilot or whatever they are called was on his phone the whole time, except for about 3 seconds when he said something about a building we were going by and then back on the phone. Is there a law against distracted gondola driving? He didn’t crash but I kept getting a reflection of light from his extremely slicked back hair in some of my photos. 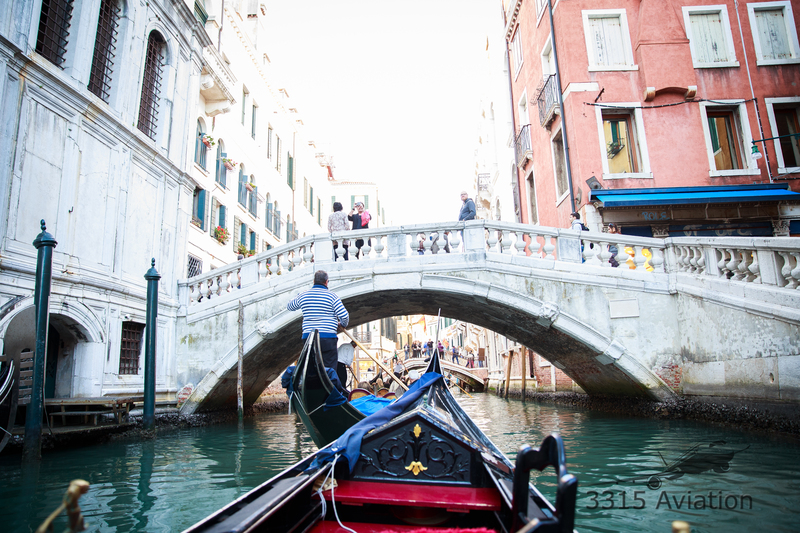 When the ride was done, our adventures took us to the Rialto Bridge and the Grand Canal. At the Grand Canal we ate at a small restaurant, dining on what else, pizza! One thing that is different in Europe is the service at restaurants, it’s very slow. We were seated outside and waited for about 10-15 minutes for the waiter to come by with menus. Eventually he came by and we wanted to order pizza, which the people 2 tables down were eating. Just like that he informed us we couldn’t order that outside and had to go inside. Great, in we go and proceeded to wait another 5-10 minutes for the waiter to show up. As I noticed, having looked at restaurants as we walked by and the one we ate at, there are very few female servers. It’s possible we only saw 1, maybe 2 at the most. Another trait I noticed, despite Elise’s best efforts to get the check, she was ignored by the server. I had to signal we were done and only then did he bring the check over. While dining, we struck up conversation with some people next to us who were there from Perth, Australia. In talking with them, we learned(and this is a continuing trend throughout the trip) how often they were traveling. The man told us how every 7 years in Australia, they take a 13 week paid sabbatical to travel. Not to mention various vacations they take during the year. This was a roughly 30 day trip to Italy and some other stops in the Adriatic, though not a cruise. It seems like America lives to work while many other nations work to live. On the way back to the hotel, a gelato stop was in order while enjoying the sights and sounds of Venice at night. Our hotel, the Savoia & Jolanda was a great selection by our travel agent as it wasn’t far from St Mark’s Square and it was simply gorgeous. The room itself was immaculate and huge with a walk in closet and large bathroom. However, I’m not sure a pallet of bricks wouldn’t have given the bed a run for it’s money in softness. At this point, it wasn’t like either of us cared, sleep would’ve came to us in the middle of a military artillery test range at this point. The lack of sleep was catching up to us and we made our way back to the hotel. I’m not sure who crashed out first, but the 2 hours of sleep on the plane caught up to us and we were down for the count! Next stop, the Venice Cruise Port and the Rhapsody of the Seas! 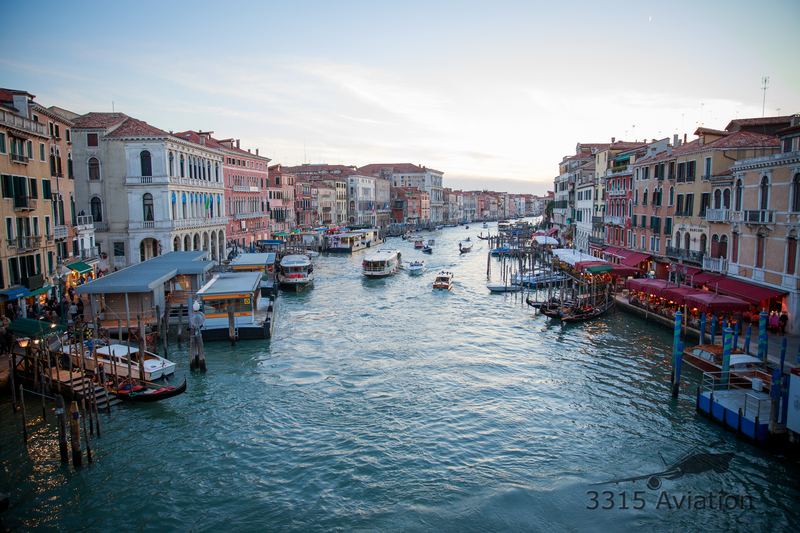 The Grand Canal from the Rialto Bridge. Water taxis pulling in with St Mark’s in the background. Drying the laundry, Burano style. The glass blowing studio we visited on Murano. 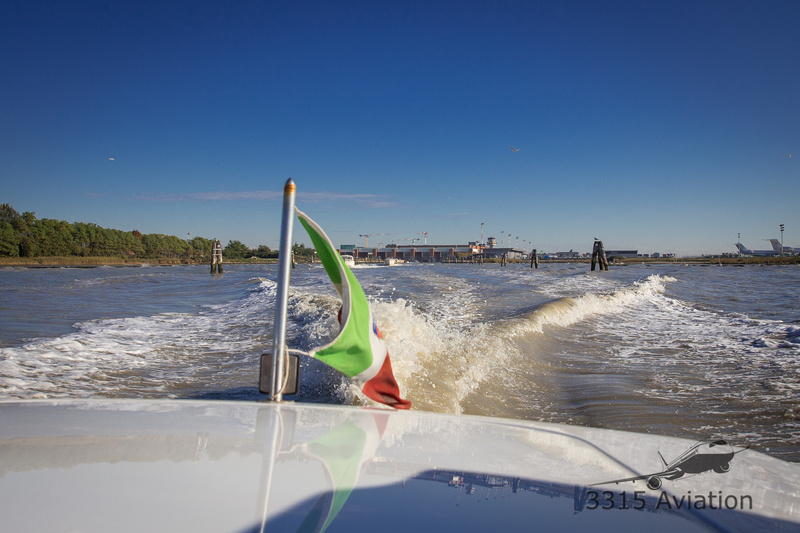 Water taxi ride through Murano on our way to the hotel in Venice. Our water taxi as we leave Marco Polo International Airport.